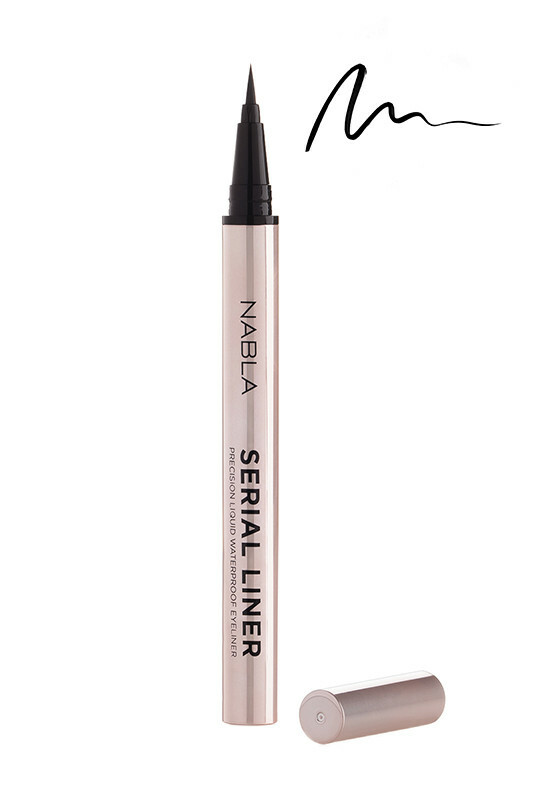 In a single gesture, the Nabla Vegan Serial Liner highlights your eyes and sublimates your eyes. His secret? Its ultra-black hue emphasizes the natural beauty of your eyes by bringing depth and intensity. Easy to apply with its tip "brush", it offers a sharp and precise result. Thanks to its high pigmentation and soft tip, it is possible to make a fine line for a discreet makeup as well as a thicker line for more intensity. All styles become possible! Waterproof, it guarantees a long lasting outfit and resists all the tests of the everyday life. The Nabla Vegan Serial Liner is the cosmetic to adopt for an intense look! A single line of eyeliner is enough to transform your eyes! 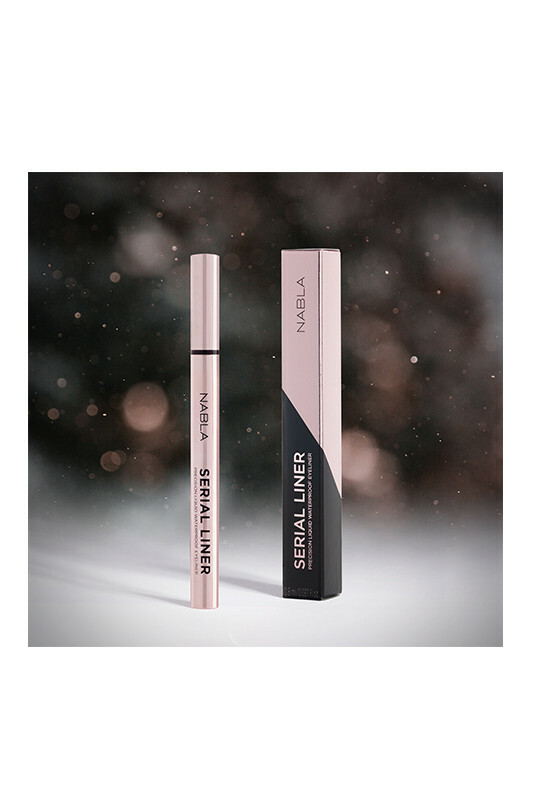 Apply the Vegan Nabla Liner flush with the lashes from the inner corner of the eye to the outer corner. You can adjust the line thickness to the desired effect. A natural composition for doe eyes! Aqua (water), propylene glycol, ci 77266 (carbon black) (nano), acrylates copolymer, ammonium acrylates copolymer, butylene glycol, 1,2-hexanediol, phenoxyethanol, ethylhexylglycerin, disodium edta, sodium dehydroacetate, lilium candidum flower extract, rose extract, jasminum officinale (jasmine) flower extract, iris ensata extract, nelumbo nucifera flower extract, leontopodium alpinum extract, freesia refracta extract, camellia sinensis leaf extract.